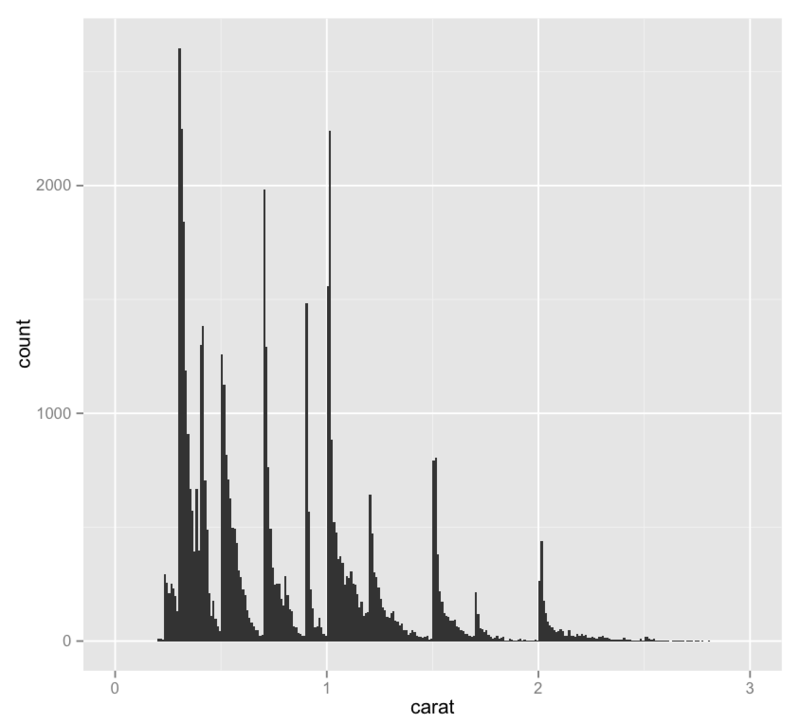 – One interesting thing about this chart is the importance of binwidth, which sets the resolution of the data in a histogram – for instance, here’s this same chart with a binwidth of .15 rather than .01. It loses a lot of the utility of the chart above! – It might be interesting to display a second variable here in a way other than on the y-axis – as a color maybe.